The first thing I want to briefly mention about how to prepare soil for a garden is what to do if you have a very extreme soil texture, i.e. very sandy or clayey. If your soil has a lot of sand, you know it will drain well, which is great, but there is definitely some concern as to how well it will hold onto water and nutrients. Today I am talking about how to prepare for a garden and specifically behind me here, I am gonna show you the two main methods I use when I am preparing a new garden bed to really create nice soil. Method 1, so the first method is tilling or digging or double digging, rototilling. There is a lot of debate about whether or not you should do this but I can tell you that sometimes it’s a great idea and in my opinion sometimes we shouldn’t be doing it. In the long run if you are always digging and tilling your soil it really hurt soil structure and it’s hard on the soil food web, your fungi, your earth worms, insects even the bacteria. It throws them out where they want to be in the soil. So there are methods like bio-intensive methods wherever your are dull, put on more composed and double dig it deeply and it works okay but it’s a lot of work. It’s not all that sustainable and it’s you know it burns up organic matter, there is a lot of reasons I don’t like doing it long term. In the short term I really do like it because it helps to, if you have a compacted soil or a hardpan you can break that up and if you need to incorporate composed and fertilizers into your soil, this is a great way of doing it so, I don’t really use a tiller much anymore. I really like using a fork, so here is how this goes, you can maybe tell that I have laid down some composed, not much point in doing this if you are not adding more things to the soil in my opinion, so I have my compose. I have my fertilizers in here based on the soil test I have done, now I want to dig them in. So I basically start and you want to use a fork for this, it’s not too wide. I like using one of my four or five comb and you dig it up and dig it, you go along in a trench now I am going to do this very quickly just to keep the video brief and, then the shovel is great for getting this stuff out. So that’s kind of like a single dig right there, a very quick one, a double dig is to you go down further and so if you are doing a good job on this, the first dig might go down a foot, the second dig might go down as much as another foot, maybe 18 inches in total and you are just loosening the soil and your trench. I come along and do it here basically throw this soil from this new trench into the old trench, break it up a little bit, so that’s like my single did. I am thrown it in and then I go deeper and have loosened the soil up in the new trench. So this way I can get down as much as two feet, really loosing that soil up. Get the composed and fertilizers incorporated down in there. The soil from the first trench is going to end up in my last trench or often just spread over top of everything and it’s a great way to loosen the soil. So that’s double digging. Method 2, method 3 no method; now we are on to method 2 which is another favorite way of mine to build a new garden and it’s called sheet mulching or lasagna gardening. It’s definitely less work physically, it’s not really as hard. It is a lot of work to get the materials but it’s not as much physical work. Another thing I really love about as you can put it on, you can do it right on top of the grass, without having to take the grass off and taking the grass off is quite a pain. You either have to rent a side cutter or do with a spade and it’s a lot of work especially on a big area. Another nice thing about leaving the grass is you get to the organic matter right there. It will become nice organic matter in your soil and you are not hurting soil structure with this method and I guess, the down side of it is it takes first of all you are not incorporating organic matter and fertilizers into the soil which is the nice thing about the double digging and also it takes probably a year for it to become productive. You can’t seed into it right away. You can kind of plant into it but it takes a year for it to really work well. First thing we often do is wet the area a little bit and then you want to get some newspaper or card board and now what this is gonna do is stop the grass. It’s gonna kill the grass basically, so you lay it down, now how many sheets of newspaper, kind of depends on how much newspaper you have, how big of an area you do but more than one sheet. I kind of do it like this and I overlap them a little bit, so that the grass can be true. You want to do this on a calm dig because the newspaper will blow away and even then you want to water it, there is a help start to break down process by the microbes and then we were basically building a composed pile right on the soil but it’s called a sheet mulch and we build it anywhere from 6, 12, 18 inches tall and we are using the same kind of materials, we might use in a composed pile. One of the first things I would like to put on is either maneuver or composed, now of course I am just doing a tiny area here to show but you would do this through the whole garden. So I would lay a little later at that time, I would like to using leaves as kind of more of a carbon source whereas maneuver is more of my nitrogen source. A thicker layer of leaves than that but this is just an example. It doesn’t have to be complicate, it can be as simple as maneuver and some leaves straw but if you have other things like grass clippings, there are nice incorporated in there. I have some weeks and I am gonna put in there but you don’t want to use weeks like bind the weed or anything that’s gonna travel because you will travel right through your whole sheet mulch. You don’t want to use probably you don’t to use weeks that have a seed, have gotten the seed but if you have other weeks which is grass clippings from mowing the lawn, if you incorporate hay in there as well but for the top layer, it’s nice to have straw because it doesn’t have as many weed seed and so it keeps all the weeds from the maneuver and from the grass clippings and from the foods perhaps. It keeps them from germinating, so I often mix a lot of stuff together. I will even mix the straw of kind of together with the other things but I make sure I end of top which is a nice layer of straw and so that’s kind of a mini sheet mulch right there. Now if you haven’t signed up for my free online organic gardening course, you can do that right on my home page of smilinggardener.com, you can also come hitting out on Facebook at facebook.com/smilinggardener. If you want to know which one you should do the tilling or the double digging, where the sheet mulching side of things, you can read about that down at the bottom of my blog post. I wrote about it there. On the other hand, if it has a lot of clay but not much sand, all that water may run off before ever having a chance to infiltrate, or conversely, it may soak in and stay right there, depriving plant roots and the soil food web of oxygen. The good news is that clay holds onto many more nutrients. The typical advice for these situations is to add clay to a sandy soil, or sand to a heavy clay soil, but this may be a bad idea, because what do you get when you mix sand and clay together? Concrete! Not always of course, but it happened to me a couple of times and I won’t do it again. The good news is there’s a much better way to improve both clay and sandy soil, and that’s with organic matter in the form of compost and sheet mulch. There’s plenty of debate on whether or not we should till. The bottom line is sometimes we should till and sometimes we shouldn’t. We don’t want to till too much in the long run because it disturbs soil structure and the life in the soil, especially harming fungi and earthworms. But sometimes we want to do it in order to get lots of new organic matter and fertilizers incorporated down into the soil right away. I’ve tilled as much as 6 inches of compost when building a new garden, which is probably a little extreme, but I just wanted to get it in there and then not till again in the future. Double digging is also a great way to do this, which is a less invasive way of tilling, using a garden fork instead of a gas-powered rototiller. I show you how to double dig in the video up above. Sprinkle in your fertilizers, mix the top 2 layers together to speed decomposition, top it off with at least a couple inches of straw or leaves, and then moisten the whole thing. If you can wait a season before planting, sheet mulching is another good tip for how to prepare soil for a garden, and it can produce amazing results, too. It’s also known as lasagna gardening – it’s like composting right in your organic garden. It’s common advice for how to prepare soil for vegetable garden. It’s mostly done to create new garden beds, and sometimes in existing beds that are fallow. It saves you from having to dig out grasses and weeds. Instead, you just smother them under a nice thick layer of soaking wet cardboard or newspaper, and then pile 12-18 inches of organic matter on top of that. If possible, use a good variety of materials just like you would when building a compost, like fresh grass clippings, food scraps, manure, straw and leaves. It’s nice to get some compost in there too, and to spice it up with some seaweed for micronutrients if you’re lucky enough to live close to the ocean (I miss it!). But you can also keep it simpler and just use grass clippings and straw. How To Prepare Soil For A Garden – Which Is Best? Really, it’s difficult to choose between digging/tilling in compost or sheet mulching, because they’re both useful. Tilling or double digging is best when you need to increase soil organic matter right away, such as when you’re preparing soil for planting, while sheet mulching is less invasive for the soil and does a good job long term. The exceptions? Well, if it’s a big area of lawn, I may not want to go through the hard labor of taking up all the grass, so I might just go right to the sheet mulch. 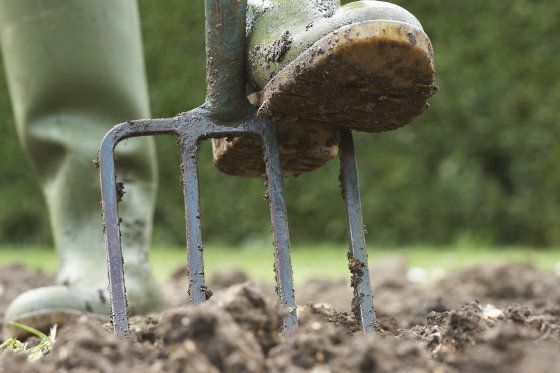 Or if after 5 years I find the soil is still compacted and low in certain minerals, I may bring out the tiller or the garden fork to bring in some more compost and specific fertilizers. Improve soil chemistry/biology with organic fertilizers/microbial inoculants, which you can read about here. I must say, I’m not sure I’d have the patience for sheet mulching! I’ve done variations of it though, and for the new bed I’m going to build in a few weeks I’m going to do sort of a combination. I’m going to till in compost, minerals and inoculants(and perhaps seaweed too-I live a few blocks from the ocean), and then after that’s done and I’ve planted, I’m going to use all those cardboard boxes I’ve accumulated from all my online orders :D, and cover the soil as a mulch, then cover that with coconut chunks(chopped up coconut hulls). Sounds like a pretty good plan. Hope your soil will have sufficient nitrogen, because the cardboard and coconut may induce a deficiency this first year. I have lawn .can I sheet mulch a spot and plant seeds right away? I tried tilling. Maybe it is too early because it wouldn’t break down well. It is seems to have some clay in the soil. Tilling a lawn is difficult, and it doesn’t get rid of the grass roots. You can sheet mulch, but most seeds seem to get lost in there and don’t germinate well. It’s much better after 6-12 months. Yes, thanks, as I said, we definitely don’t want to till (or plow) too much, just in the beginning. There’s no way I’d recommend using a spade or fork to people who have huge food gardens, but it’s great on smaller plots. Spades and forks are out of the question for those of us with physical restrictions. As for me, a back injury limits my use of long-handled tools. I enjoy my garden but must resort to having someone till it for me. Each year before tilling I have my landscaper distribute bags of compost, mushroom compost, and cow manure over the entire planting bed. This year I plan to add some volcanic rock dust to the mix. My question, since I have to till each spring am I replacing enough of the nutrients needed? It’s hard to know – that’s where soil testing comes in. In fact, too much compost and manure can lead to excesses of phosphorus and potassium, so be sure not to overdo it. I add max 1/8 inch of compost on gardens where I’m doing it annually. Good to know! Thanks Phil!!! Phil – I started a perennial garden in the (former) grassy area between the curb and sidewalk along the side of my home a few years ago. This year I plan to do the same in my front yard grassy strip. I have some zoysia but mainly a lot of really persistent weeds (Johnsongrass, crabgrass, and dallisgrass with some dandelions mixed in). In the side yard I tilled up the area (there was little grass left – somewhat shady), and the nutgrass was a big problem for most of one year. With this new area, I will have full sun and a lot of different weeds. I plan to do the same thing – amending with a lot of well-composted manure, compost, and coarse builder’s sand (Memphis has a bit of clay!). I live in a very densely populated urban area and I don’t think the lasagna gardening technique would be very much appreciated. Is there an attractive and non-smelly way to approach the lasagna gardening technique? The garden would not have to be planted this year – I could look at naked mulch for a year! Thanks! A sheet mulch doesn’t have to smell. If you don’t use food scraps, and if you cover the manure with a good layer of straw, that will keep the smell in. In terms of looks, I think it looks nice – you can top it with whatever material you want – straw, leaves, wood chips if necessary. I recommend you skip the sand when amending your soil and just focus on compost/composted manure. It’s not ideal. Most newspaper ink is made with soy, but there are other chemicals in there, too. Most organic gardeners use it anyway, the hope being that the soil food web will break things down over time. But don’t use glossy pages such as magazines or colored paper as those are much more toxic. You can put them right on the grass. You might want to cover the whole area with newspaper or cardboard. Then you can mulch the pathways in between. I like to start with a mixture of 75% topsoil and 25% compost. is pine straw good for mulching? It’s good for mulch under pines – not ideal as the main mulch in a perennial or food garden, but a little bit mixed in should be okay. Isn’t pine straw too acidic for most plants? That’s a myth – they don’t do much to change acidity. HI! again I was wondering how do I gvet you Holistic gardening hand bood to down load? I hope I will have my new computer so I can then add it to all your lessons ? It’s at the link in the first email I send you (on non-toxic pest control) when you sign up for my free lessons. What time of year is the best to initiate the sheet mulching process? I’m in the Midwest and have all of my beds planted currently, but the soil here at our home is TERRIBLE, impenetrable clay. Could I begin the sheet mulching process in late summer when most things are past their bloom and let it work over the Winter, or would the cold interfere too much? Thanks! That’s a perfect time to do it – should be ready for planting in spring, and it will be better the following year. Wonderful! A follow up question – is it possible to sheet mulch around things? I’d love to do all of my beds, but one of them has three blueberry bushes and a hardy fig. Should I just leave a large space around these plants while sheet mulching? Can I sheet mulch right over their roots? I was wondering if it wouldn’t afford them some added warmth, but regardless I’m not really comfortable moving them. Thanks again! Yes, you can sheet mulch around them. No problem at all. Smiley, thanks for all the wonderful info and I have a question……I know we are all about making a better mousetrap, so to the point……. On the subject of hugels; (hugel kultur), would it be a good idea to build a hardwood fire in the hole that you are going to start your hugel in? After reading an article several years ago about the black soils of the Amazon and how they were created by the burning of trees, etc in holes in the ground and how these areas produce super natural growth I tried it myself and it works. The fire, being in a hole, burns slowly and is reduced to just a smoldering heap or ash but mostly charcoal and that is what you want. The charcoal acts like a sponge and slowly absorbs and releases nutrients in a timely manner. I didn’t plant directly over that first hole, (darn it, I would have had a hugel years ago), but spread the reduced chunks of carcoal an ash at the bottom of my raised beds. It worked beautifully but I hope to do some hugel beds soon (as I have not tried them yet) and was hoping to get your opinion before I start. Thanks, joyceI am a newbie to this site so if it has been discussed before please forgive me. Neat idea. I tend to lean to compost more than biochar, but I think there could be benefits. Yes, add calcium and compost now, and while you’re doing it, you can also come through with a pre-plant spray of your liquid inoculants and fertilizers (minus the fungi – wait until planting to use that) to get the soil prepared even better for planting time. Over the years I have used straw bought in small bales as a mulch. Then at the end of the season I turned this into the soil. As a result, I find that the black gooey clay we have in North Texas is becoming easier and easier to turn and has far more worms. I’ve looked into this quite a lot. My understanding is that most newspaper ink is now non-toxic, so I don’t worry about it too much. I don’t use glossy newspaper though. I soak the newspaper in a five-gallon bucket for 15 minutes or so before putting it down. That way it won’t blow away as I work and it molds to the terrain really well. I’m just getting started. I’m in green northern Spain where we’ve got weather similar to say Vancouver but the rain is year-round. Maybe a bit of snow and short periods with lows down to -4C or even -8C as an extreme in the winter. A few weeks of heat in the summer up to say 36 or even 40C. My main end goal is to have a steady supply of nutritious salad and juice ingredients available as close as possible to year round. I’m not interested in having a “crop” come in, producing 100kg of something at once. Though I know that when the sun comes out, that’s what will happen! But anyway, I’d like to get as close to my goal as possible and wonder what you think about year-round planting — plant a little every week, even if it’s out of season, and see what happens, or what? Maybe I should try a cold frame. My town is starting up an all-organic allotment program, hopefully next month, and I’ve signed up. The plots are tiny, about 25 to 30m2. 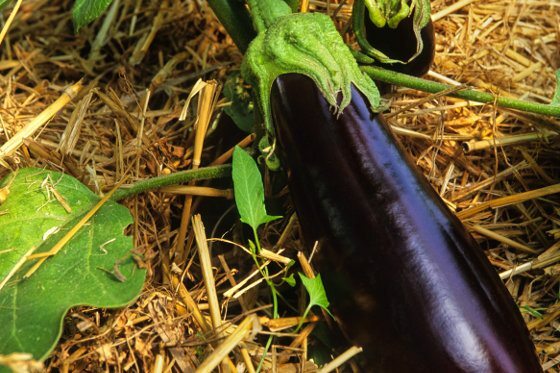 Since they’re so small, I want to build lasagna-style raised beds as you suggest here and would like to know what you think of my lasagna recipe (0.5cm wet newspaper, 10cm alfalfa hay, 2cm composted manure, 20cm straw (from peas if avail), 2 more cm composted manure, then 10cm more veggie-based compost). This would be to start planting this season, not next year. Would some ProBio or calcium carbonate be good too? I get very busy with work sometimes, so I figure having very healthy, well-mulched soil will make the garden suffer less if I have short periods of neglect. One worry: I’ve just seen the well-meaning town employees have put a huge layer (maybe 20cm) of what seems like pretty fresh, uncomposted manure over all the plots. If this is true, what should I do next month when we get our plots? Just make my raised beds right on top, with perhaps an extra-thick layer of newspaper at the bottom? Last question is blueberries. I know they like acid soil and I have a friend in the area who’s had poor luck with them in her garden. Would they thrive in normal raised-bed lasagna soil? Or directly in this outrageous layer of fresh fertilizer? What could I do to prepare a friendly area for them? Thanks a lot for any advice you have re: Lasagna recipes 😉 ; tips for the longest, steadiest salad season possible; manure overdose; and blueberry-friendly conditions. Yes, sowing new seeds every week is a great idea. Absolutely. A cold frame will allow you to start earlier. Your lasagna recipe looks fine. Just be aware that it won’t produce too well in its first year, because it needs time to break down, so don’t be discouraged. You might want to just sheet mulch half the bed this year and the other half next year. Yes, if you can find ProBio and calcium carbonate in Spain, it will be worthwhile. Wow, that is way too much manure. Yes, you can build your sheet mulch on top. Thick newspaper will stop most of the weed seeds in the manure from coming up. Blueberries don’t love acid soil (that’s a bit of a myth that I can’t explain here), but they do love organic matter. Not sure how they’ll deal with the fresh manure. They can be a bit tricky, and will take a few years to produce, so you may not want to trouble with them in such a small plot. Can I use sawdust as mulch? A little bit is okay, but a lot can cause a bit of nitrogen deficiency in the soil. I’d rather see it composted first, or at least mixed with leaves. This course has been so helpful Phil, thanks for sharing!!! If I choose sheet mulching how do I perform maintenance of that area throughout my first year? I live in the east coast of the US and I’m planning to start this in the early summer to plant next year. How to I keep that area nice and moist during the winter especially (freezing temps)? There’s not much maintenance that needs to be performed on a sheet mulch. You won’t have much of any weeds this year, but you can certainly walk on the sheet mulch to pull them, though, if you have to. You can water the sheet mulch, too, but no need in the winter. Thanks for all of the great advice. This year, we are trying organic gardening for the first time. Since we have hard, clay soil, we are planning on purchasing several yards of top soil and also compost. Do we need to buy organic top soil or can we just get regular top soil and add organic compost and organic fertilizers? Planning on starting a garden this year. The area was used as a garden years ago. It sits in an area where sheep have been grazing grass and leaving their poops behind since. All the grass is currently dead from the winter. What do you suggest the best course of action would be to seed this year. I was thinking of taking the grass out due to the seeds. What are your thoughts. Yes, if you want to have a productive garden this year, you’ll need to take the grass out. Or you could always do that in one part of the garden and sheet mulch the other part.